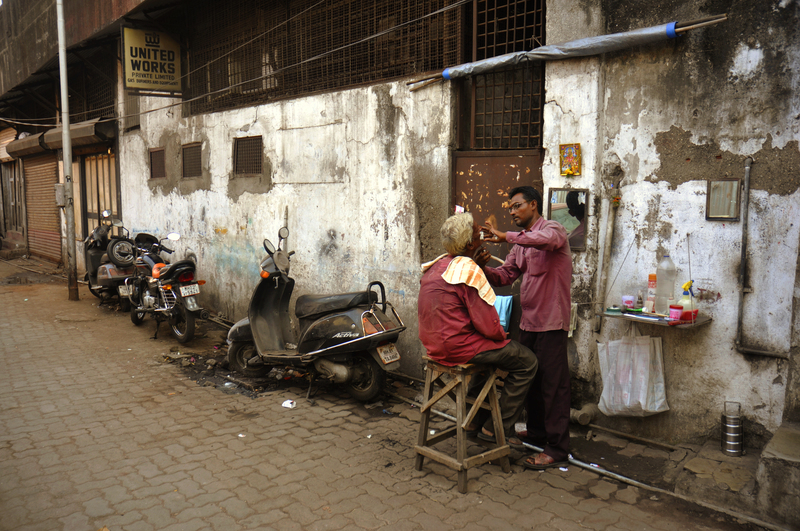 Street barbershop, India, submitted to ‘Street Photography’ on National Geographic. Kristian Bertel has contributed to the National Geographic Your Shot photo community with an assignment called ‘Street Photography‘. The photo assignment curated by Benjamin Lowy, a photojournalist who in the assignment briefing is focusing on street photography as a harsh name for a beautiful pursuit. As Benjamin is saying it: ”- To tame the chaos. To frame the cacophony of modern life. To capture what it means to be alive”, he says. Street photography is photography that features the human condition within public places and does not necessitate the presence of a street or even the urban environment. The subject of the photograph might be absent of people and can be an object or environment where the image projects a decidedly human character in facsimile or aesthetic. Street photography is more than a phrase, it is a way of seeing, a way of experiencing life. Benjamin Lowe also explains that he thinks that sports photography can be street photography on the field. Fashion photography can be street photography backstage. At its very essence street photography is capturing life without interrupting it. A street is a public thoroughfare and is usually paved in a built environment. It is a public parcel of land adjoining buildings in an urban context, on which people may freely assemble, interact and move about. A street can be as simple as a level patch of dirt, but is more often paved with a hard, durable surface such as concrete, cobblestone or brick. Portions may also be smoothed with asphalt, embedded with rails, or otherwise prepared to accommodate non-pedestrian traffic. Originally, the word street simply meant a paved road. The word street is still sometimes used colloquially as a synonym for road, for example in connection with the ancient Watling Street, but city residents and urban planners draw a crucial modern distinction. A road’s main function is transportation, while streets facilitate public interaction.